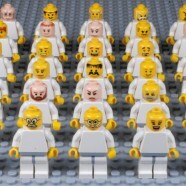 LEGO Pictorial Scales for Assessing Affective Response | Christoph Bartneck, Ph.D.
We have just published a nice study in which we developed and tested Emotion Rating Figurines (ERF) that allows you to assess emotional responses. The figurines are base on LEGO Minifigures. We developed a questionnaire sheet and also a physical model.